Here is a look that in my opinion signifies the traditional fall look. I have been seeing a lot of variations of this look floating around Instagram and I though I would give my take on it. 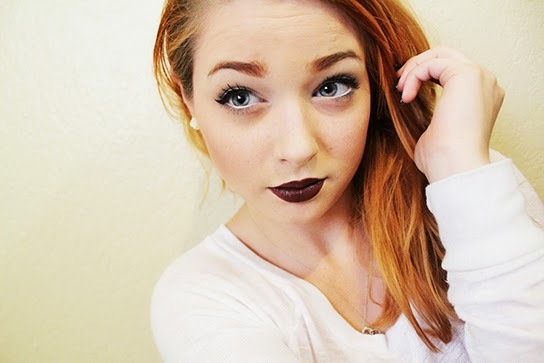 Simply eyes and bold dark lips perfect for fall! Love this look. You look so pretty! I think I need to pick up that revlon lipstick!